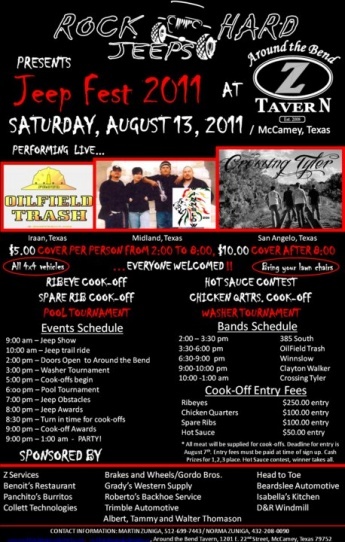 our jeep club is putting on the jeep fest 2011 in mccamey texas and i would like to invite you guys to come down and hang out with us! here is our event flier! if im still in texas, i will be there!! looks like fun.